Which Nutraceuticals Are Right For You! Which Nutraceuticals Are Right For You? Posted by Roger Murray, M.D. Nutraceutical is two words put together: nutritional and pharmaceutical. Nutraceuticals are dietary supplements that are also known as functional foods. According to the U.S. Food and Drug Administration (FDA), a nutraceutical is any substance that is a food or a part of a food that has medical or health benefits. 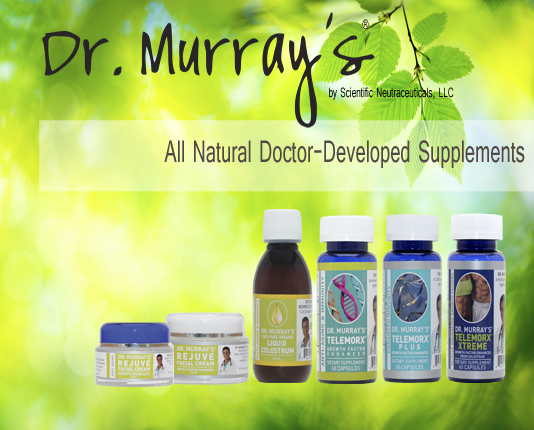 Nutraceuticals help prevent and treat disease. These products can be single nutrients like Vitamin D. Or they can be dietary supplements such as a multiple vitamin/mineral combined together. If you are sick with an infection, you need extra dietary chemistry to help your immune system. Good nutrition helps the immune system fight the virus or bacteria that is making you sick. And if you are having an operation, you will have an injury that needs to be repaired. If you want to prevent disease then taking a nutraceutical that boosts your natural immunity would be good for you or Saw Palmetto to shrink your prostate. If you have leaky gut or Crohn’s disease than nutritional supplements and immune boosters are of benefit. And if traveling simply take 500 mg three times a day. If you are injured, you need more nutrition to give your body the raw materials it needs to rebuild your damaged tissues. The intense and long distant runner or triathlete needs vitamins and minerals to restore balance along with growth factors to repair damaged joints, ligaments and tendons. Maximizing your life means staying in the “zone” of complete balance…proper weight, proper exercise, proper food (hard to find in the U.S. now) and proper nutraceuticals. No drug or herb is a simple solution. And no single item, like Vitamin C for instance, can be swallowed by two different people and be digested and absorbed in exactly the same way. There is actually no way we can know exactly what a single chemical, drug, vitamin, mineral, or herb is going to do in any one person's body. It all depends on that person’s digestion. How well their liver and kidneys work also makes a difference. Research has given us a general idea of what amounts of different nutrients will be helpful to most people. Be sure to take the recommended amounts of nutraceuticals. This is especially true in situations where you know you will need to fight infections or heal a wound. Nutraceuticals can help your body face any extra stress on your system. Eating right and adding nutraceuticals will make sure you have all the raw materials you need. This combination will help you repair every day wear and tear. It gives your body a much better chance to deal with damage from disease, accidental injuries, or surgery.